I saw Kaze Tachinu yesterday. It wasn’t the best Ghibli movie I saw but it was still pretty good. The story really isn’t great though. I think the best thing about it is the animation, there’s some really impressive scenes, like that scene at the beginning. You’ll know what scene I’m talking about if you watch the movie. There’s also every scene with Jirou imagining his planes flying that are really incredible. Couldn’t stop laughing once my friend told me the heroine looks like Princess Sarah. Especially with her hair down. There’s even some clothes she wore that reminded me of it too. 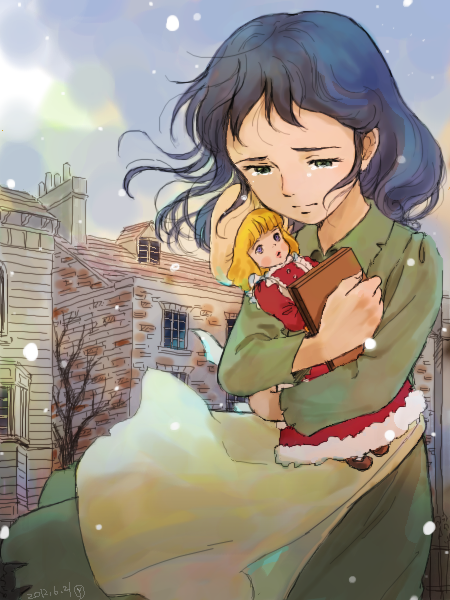 This entry was posted in Kaze Tachinu, Opinions on..., Princess Sarah and tagged Kaze Tachinu, Le vent se lève, Princess Sarah on January 26, 2014 by rockmanshii.